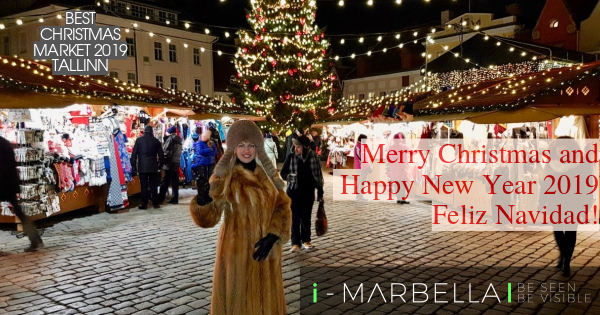 Annika Urm and i-Marbella.com team wish a Merry Christmas and Happy New Year 2019 to all readers, friends, and followers around the world! I have the honor to live nearby the best Christmas Market in the whole of Europe. Tallinn's old town is just a few meters of my place of residence and it feels truly amazing. One of the must-see events in Europe. 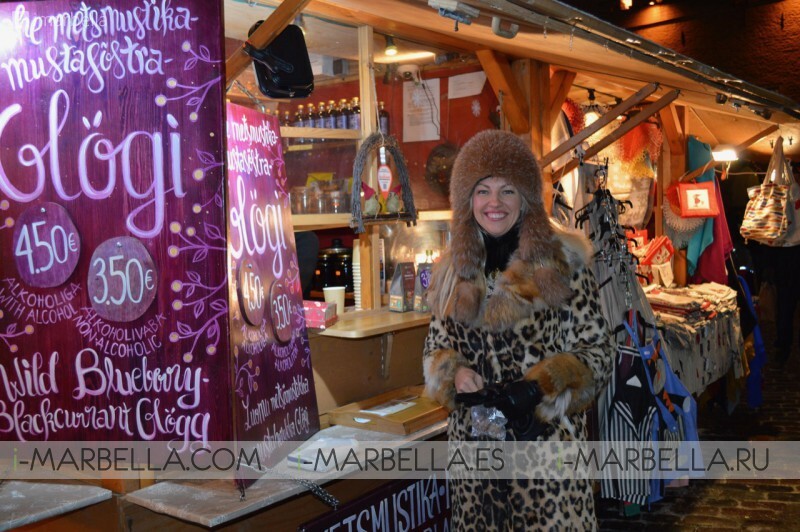 Tallinn Christmas market delights all its visitors. This year thousands of people from around the world have awarded Tallinn the title of Best Christmas Market in Europe. It's important to be thankful for what is around us and to actually enjoy it. I am visiting the Christmas market in the Town Hall Square Tallinn's downtown almost every day ( Estonian: Raekoja plats) having a stroll around the old town almost every day just reminds me to be grateful and happy all the time. During these holiday time, I am having a lot of visits of family and friends in where I always suggest visiting the Christmas market and later on enjoy a warm-hot tea accompanied by a delicious homemade cake. Best Christmas Food and your favourite Christmas destination in Europe Tallinn, Estonia 2018! This is a very fulfilling experience every time. I find myself often just trying to remind our Estonian people to don't forget how lucky we are for having such a beautiful country with a long and interesting history. Thousands of people traveling to Tallinn, Estonia just to see our Old Town and Christmas Market. It's simply fascinating. This year thousands of you from all over the world have awarded Tallinn the title of Best Christmas Market in Europe. It has become one of the must-see events in Europe. The Tallinn Christmas market delights everyone with its coziness, historical location, wonderfully preserved medieval old buildings, and long traditions. In recent years, the Tallinn Christmas market has a number of times been elected as one of the best Christmas markets in the world. For children, entertainment is provided by carousels and Santa Claus, who distributes candy in his little house to those who are better at reciting verses. At the site, you can buy high-quality handicrafts from all sorts of nick-nacks to practical winter accessories, and you can fill your tummy with gingerbread and with hearty Christmas roasts. Our team wishes you a Merry Christmas & a Happy New Year 2019! !